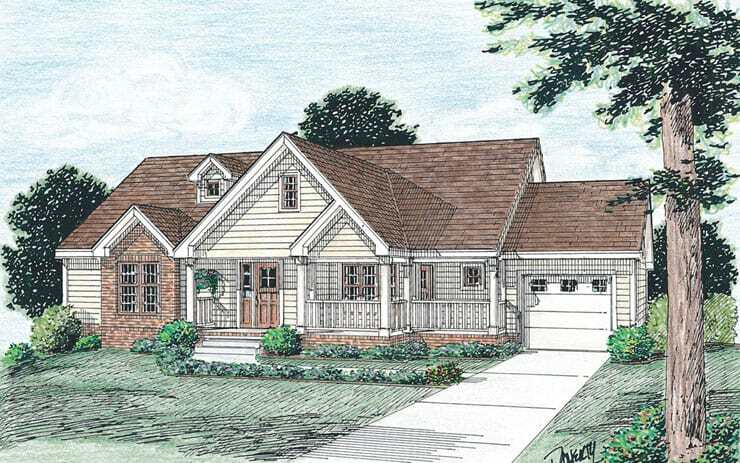 Our Cape Cod features a picture-perfect front porch with dual access inside. Entry views include the spacious living room plus formal dining and den, both of which can be accessed via French doors. 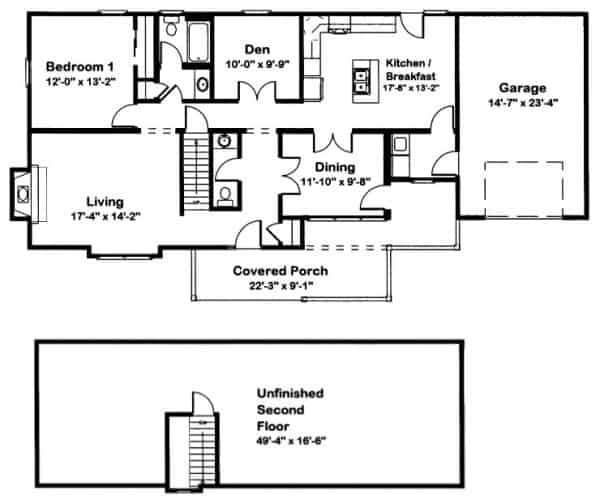 The wide open second floor accommodates both storage and future finish needs. And, of course, you can select hundreds of customization options and upgrades to achieve the home of your dreams. Have questions about the Cape Cod? Get in touch with the experts at River Valley Builders about customizing this floorplan to fit your needs and lifestyle.